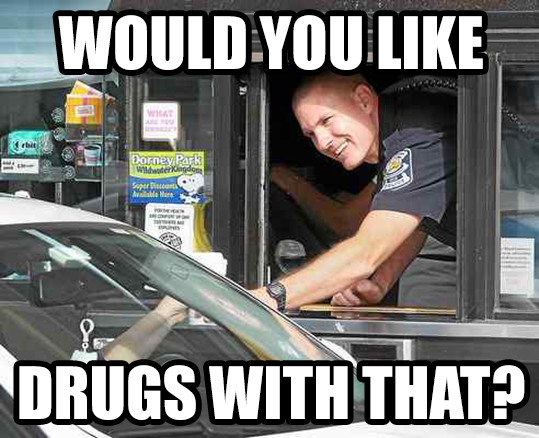 "Would You Like Some Drugs With That?" (Episode 50) | #FSCK 'Em All! It’s a shorter-than-normal Fsck this week because T. Greg had the flu, but we still fit in stories about the Nunes meh-mo, totally bonkers testimony about Maryland’s corrupt Gun Trace Task Force, more ICE stupidity, and the wide variety of police getting charged with dealing drugs. Episode 49, a #Law140 on how the First Amendment applies to the Executive Branch, is on our Patreon page exclusively for our patrons! We’ll hopefully be back to regular episodes next week! Pingback: "Never help anyone. Ever. Or Get Shot." (Episode 51) | #FSCK 'Em All!